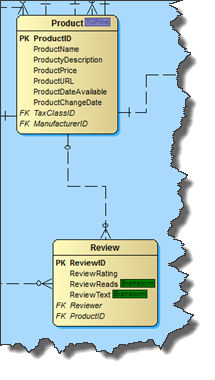 Data modeling for database professionals. Visualize database structures to understand your database, create new databases or reverse-engineer existing databases to modify, document, analyze, and optimize. With the new labeling functionality, you can organize the database objects in your data model into meaningful groups so you can quickly and easily filter and report on the data that is of most interest to you. You can apply labels to entities, attributes, triggers, indexes, sequences, views and procedures. You can add more than one label to a database object. You can display the labels in your diagram. Several options on how they will be displayed in the diagram are available: Aligned, with label names or without name with only a colored box. The list of supported databases keeps growing. In DeZign for Databases Version 10 we added support for MS SQL Server 2016. DeZign for Databases has been enhanced for new features introduced in MS SQL Server 2016. You can forward engineer, reverse engineer and alter MS SQL Server 2016 databases with version 10. Forward engineering is available in all editions. Reverse engineering is available in the Professional, Expert and the Teamwork edition. We added a new dialog that appears right before the update model from database process starts: The Update model options dialog. 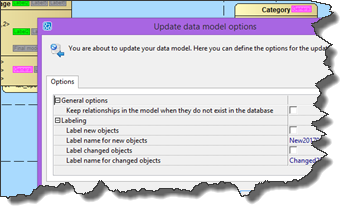 Here you have options such as "Never delete relationships in your model" for developers who don't have relationships defined in their database. Another new update model option is to automatically add a label to "new" or "changed" objects. Available in the Professional, Expert and Teamwork edition. The new object search functionality in the Object Browser lets you find objects with a specific label. Perfect for faster navigation through your data model. Simply enter "LABEL:MYLABEL" to find all objects with the label "MYLABEL". Another new feature related to the Object Browser is the possibility to select all objects that are listed in your Object Browser after filtering. You can find this functionality in the select menu (Edit | Select | Select objects listed in Object Browser). This list is not complete. Version 10 contains many more new features and enhancements. You can read the complete list of changes in the version history. 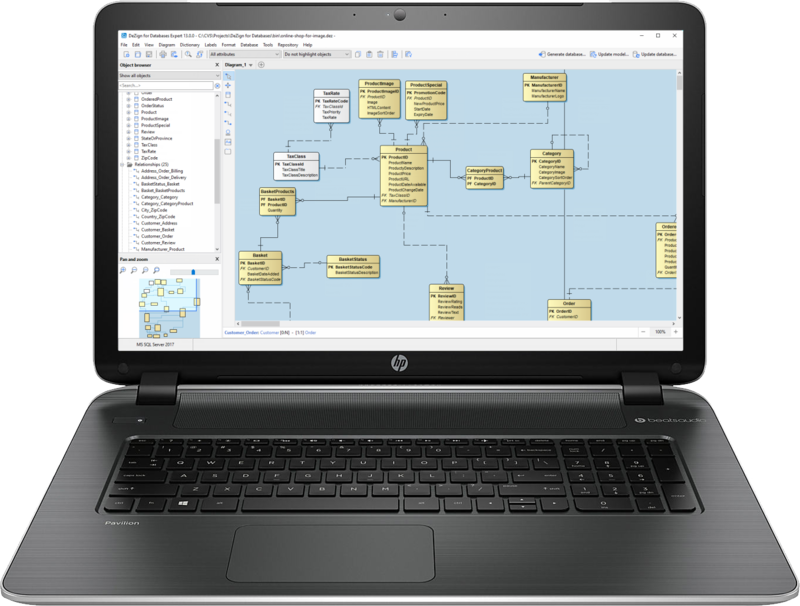 And see why tens of thousands of data modelers worldwide choose DeZign for Databases.